http://CRISSCROSSIntimates.com JUST LAUNCHED - APRIL, 2017! SHOP TODAY! CRISSCROSS™ - Intimate Apparel - Feel Confident, Look Beautiful or Handsome! SMART trendy new post-recovery undergarments for breast cancer survivors. These high comfort and chic styles will offer revolutionary new solutions for Survivors. Fashion forward with contemporary designs 1 - 120+ days post recovery from single or bilateral lumpectomy, mastectomy, reconstructive, augmentation and other surgeries, we will offer compression garments no matter what stage cancer you've experienced for women and men. Iwas inspired to create a fashionable apparel line for breast health and wellness, celebrating life, with designs approved by the USPTO after my journey with Breast Cancer! I have recently blogged for leading Intimate Apparel journals including #BreastBriefs #NouMagazine and #TheLingerieJournal and on other social posts. I focused on breast health and wellness, advancements and trends in breast technologies, body self-esteem and image, intimate apparel and lingerie and more! My motto has been 'Don't let cancer get the BREAST of you!' I didn't! I am a supporter of Women Survivors Alliance and the show, My 2nd Act: Survivor Stories from the Stage, The First Bra Foundation and various Breast Cancer causes. Learn more about other exciting adventures and my breast cancer journey in BLISS! FOLLOW ME on twitter and soon on our new site CRISSCROSSIntimates.com to learn more about our best breast products and other inspirational resources. Preview CRISSCROSS Technology video here! | Preview CRISSCROSS Fashion Show pictures here! | Preview REVENGE Fashion Magazine 5 Videos here! Since the October 30, 2014 product launch, breast cancer survivors are testing the bra and here’s what they have to say. . .
"It is the best choice especially if I am going out anywhere. The material feels really nice against my skin. It is definitely more stylish than the other options! Thank you!" “I like the thickness of the band, no wires or uncomfortable elastic”. One patient thought it was too hard to get into with the X design when they are first post-op since she had to stretch her arms behind her back too far. There is not enough coverage medially (center) of the breast for larger women (although they only had small size bras to test XS – M at her Docs). #1 Provides adequate compression (this is key). #2 No stitching reduces chaffing and increases comfort. #3Elegant fabric makes it easy to wear under normal clothing, without being visible (most bras are so bulky). #4If I understand the design, the drain tube comes through the bra. This is an advantage-no pressure from the bra band on the drain tube. #5Holder for drain tube. #6 Unique fabric may increase blood flow and aid in healing-this could be revolutionary. #7Full size range for all patient body types. #8 Developed by women for women! Breast Briefs Column Launches today! Published on Nov 9, 2014 Essence Interviews Trenton Horinek, of Hologeniz, LLC, makers of Celliant @ the launch event for CRISSCROSS, by Jean Criss. Intimate Apparel - Feel Confident, Look Beautiful - SMART, trendy comfortable post-surgical undergarments for breast cancer patients. Held at Martin Lawrence Galleries, New York, NY, October 30, 2014. Uncomfortable top with tubes and drains tied and hanging from pants! UGH!!! No More Mess! Eliminate This Ugly Mess and Hide It! Feel Confident, Look Beautiful in a CRISSCROSS Bra. Chic, stylish and more importantly comfortable with advanced recovery and healing in the CRISSCROSS brand! Sign up here to place your CRISSCROSS Order! Call for product details and sizes 212/792-4106 or info@jeancrissmedia.com. Donate to support future product development of a fabulous Breast Health & Wellness Undergarment Collection. Small manufacturing run in post-production. Seeking licensor. Order your Custom Bra Kit today. Join the Crowd with other Survivors! Be chique in a CRISSCROSS bra and recover in style! Sample kits available for Breast Care Survivors, Physicians, Hospitals, Medical Institutions, Cancer Care Organizations, Retail stores, Distributors, etc. Order yours today. Be one of the first to test this revolutionary new product for breast recovery and wellness. We welcome your invaluable feedback too. Don't let CANCER get the BREAST of You! I haven't! This past Spring, I recently auditioned for My 2nd Act at SURVIVORville. My 2nd Act story will be published on their website and in their online magazine. SURVIVORville was held on June 6th at the Gaylord OpryLand in Nashville, Tennessee! They said my story was "an inspiration to all cancer survivors." This made my day! Don't let cancer get the BREAST of you! BLISS! CRISSCROSS™: Intimate Apparel. Feel Confident, Look Beautiful! Jean introduces a full line of post-surgical bras and camisoles. No matter what type of breast surgery or stage of breast cancer you may have had, there should be a comfortable product for you -- whether you experienced lumpectomy with radiation to single or bilateral mastectomy with reconstructive surgery or augmentation, compression undergarments will be available for women and men alike, providing unique custom fabrics and technology that offers healing, comfort and style throughout the product line. Jean strives to deliver stylish, chic and comfortable products designed to provide innovative and clinically proven healing technology for patients of all ages to ease your recovery in style! Jean also integrated a CRISSCROSS™ element in each Jean Criss™ design. 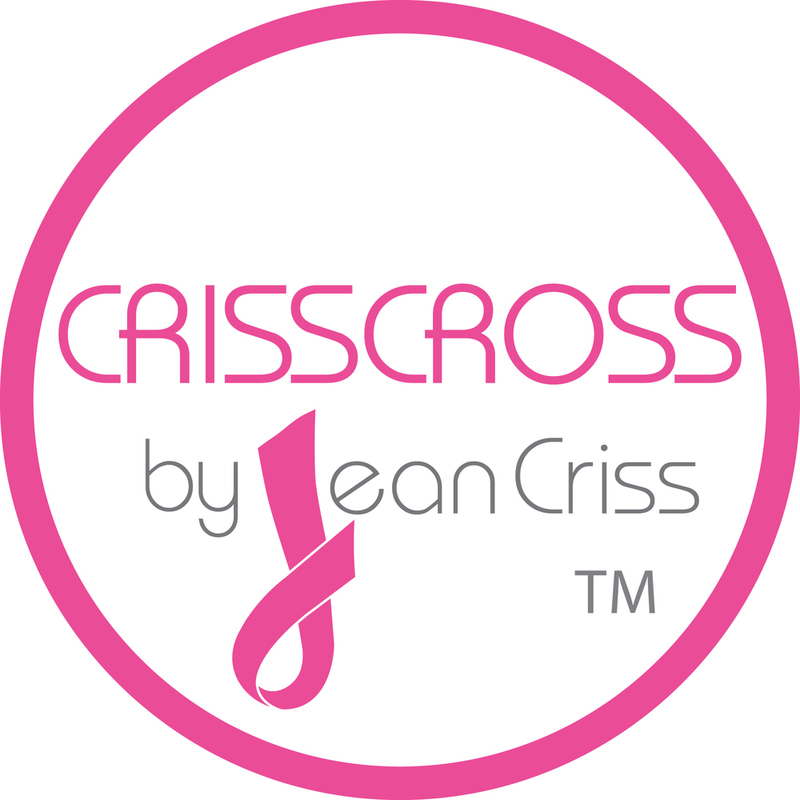 CRISSCROSS™ is the trademark name for the entire Collection inspired as she documented her journey in BLISS!, a survivor's tale about breast cancer, love, life and the pursuit of happiness. Based on her personal experience, Jean would like to dedicate the Collection in memory of her late husband, who passed away in her arms after a tragic auto accident, at the cross roads of their youthful marriage. Bras will be named in memory of Survivors: dedicated to family, friends or dear loved ones. The Public can name a bra after a Survivor too by making a contribution to the Collection! The first bra will be named the "Nina" bra - after Annina Vulpetti, Jean's dear Aunt who died tragically of Stage 4 BC. Nina meant so much to Jean and her family. The "Christina" bra will be named after Christina Bloom, a dear friend and business colleague of Jean's who spent many wonderful days traveling and socializing with her during their post-surgical breast recoveries while they penned their books along the way. "We traveled and lived our dreams and always gave back to our favorite charities", Jean proclaims. Celebrate life and keep the legacy alive with the CRISSCROSS brand. Jean will also bring out her fashionista with over 20 proprietary patent designs. She also will feature fashion wear for patients and medical staff -- over-garments to hide the post-surgical drains and tubes, and medical scrubs and gowns for those who care for you at your bedside. Basically offering high-comfort during one's medical recovery during their hospital stay, in-home care or for when they return to the workplace. Chic apparel for patients in need and for your caregivers. Designs currently 'under construction' with various patents pending! Why? The Facts: A woman has a 1 in 8 chance that she will be diagnosed with breast cancer in her lifetime; in New Jersey that chance is 1 in 7. 1% of all breast cancer diagnoses are men, 1 in 1,000 men will be diagnosed with breast cancer in their lifetime. Every 2 minutes a woman is diagnosed with breast cancer; every 13 minutes, a woman in the United States will die of this disease. 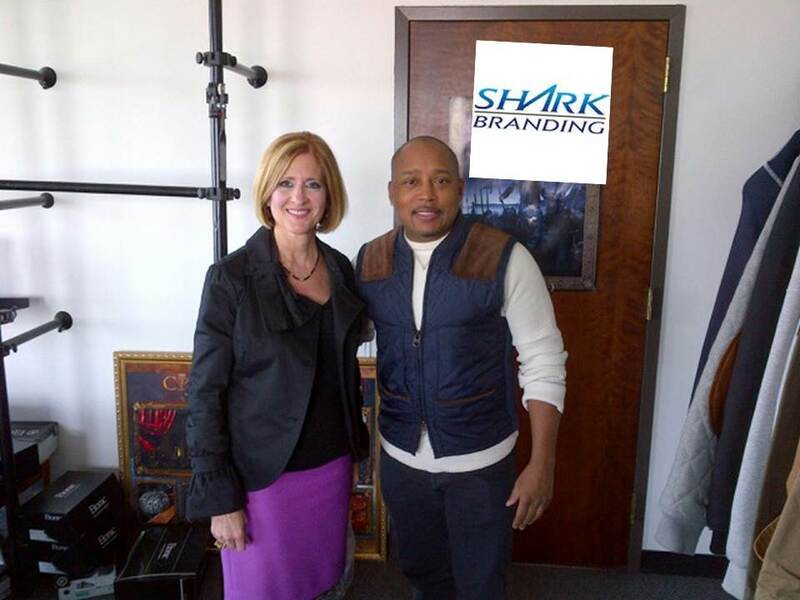 Inspiring celebrity women such as Kris Carr, Sheryl Crow, Christina Applegate, Guiliana Rancic, Cynthia Nixon, Hoda Kotb, Betsey Johnson, Edie Falco, Olivia Newton-John, Diahann Carroll; and famous men such as director George Lucas, Cleveland Brown’s Ernie Green, actor Richard Roundtree, singer Don Mclean, former US Senator Edward Brook, and unfortunately so many more, have experienced breast cancer. Nordstroms.com - Special recognition to one of Jean's favorite stores. The garments brought back her confidence and helped her recover through her journey - take a look. 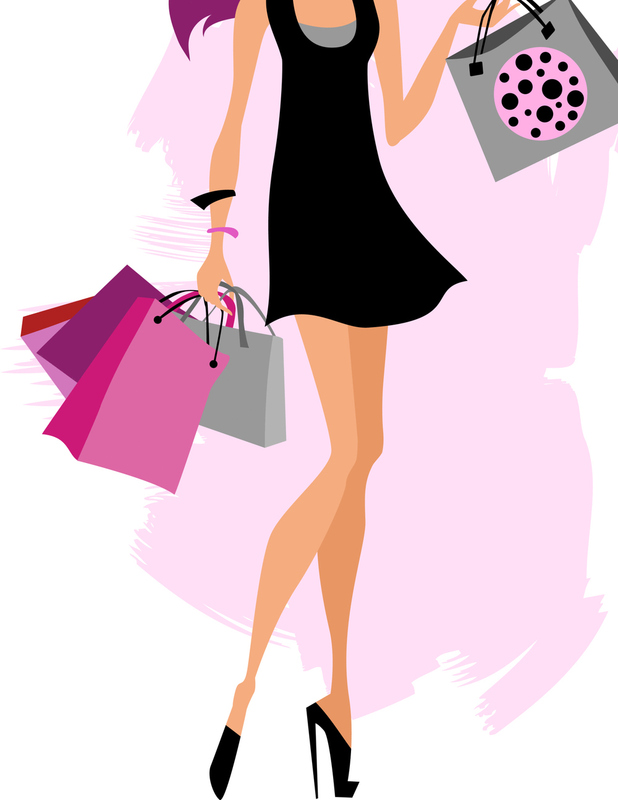 . . from bi-lateral lumpectomy to bi-lateral mastectomy with reconstructive surgeries, Nordstrom has it all. Jean plans to distribute her CRISSCROSS™ line in retail stores like this one plus many others in the future! Preview the Nordstrom and Wacoal / Susan G. Komen Fit for The Cure video's below and a few other key helpful sites. Plum Alley - Innovators Announce their New Products in Wall Street on October 22nd, 2014 as published in Women's Innovation Lab. The Martin Lawrence Gallery, SoHo, New York City on October 30th, 2014. CRISSCROSS™: Advanced Technologies for Breast Wellness. Intimate Apparel - Feel Confident, Look Beautiful! CRISSCROSS Fashion show, contemporary fine art, cocktail reception and more! RFM Image Development Photography and Modeling agency plus 30 dedicated Sponsors supported this wonderful breast health & wellness event. Thank you so much for your continued support! What's your size? No matter if you've experienced breast augmentation surgery, lumpectomy, mastectomy - single or bi-lateral, for both men or women, the CRISSCROSS™ post-surgical collection will have a garment for you providing comfort and style in all sizes. Larger sizes available in 2015 and beyond after initial product launch. Women's bras wlll be available in XS - XL and men's vests will be available in S - XL initially with plans for larger sizes thereafter. Take the plunge - a bra quiz. Preview my story found on page 96 in the Spring 2014 issue of GLOW! 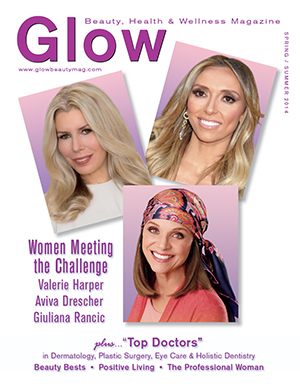 There are great editorial stories about breast health, beauty and wellness in GLOW. 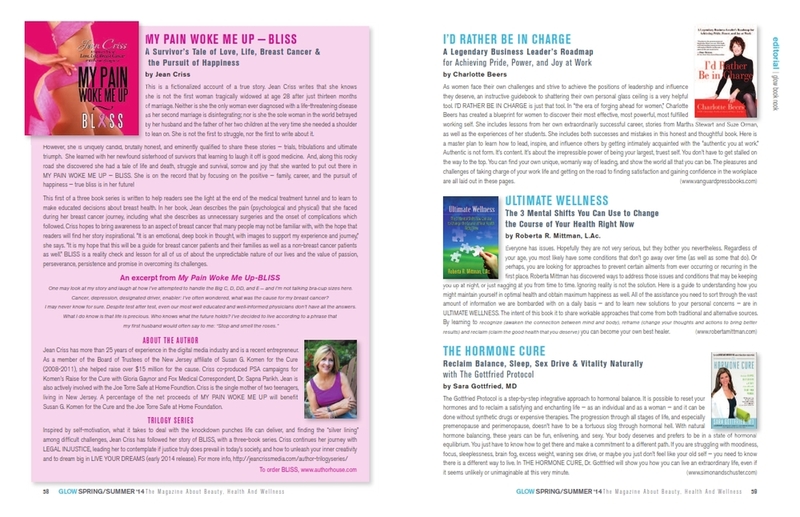 Look for my next article in the February 2015 5th anniversary issue of GLOW, featuring LIVE Your Dreams!